Apple is attempting to do damage control over the flurry of negative comments on the company's new version of Final Cut Pro X video editing software. Apple posted a FAQ on its site that aims to address some of the concerns customers have raised so far, including a couple of straightforward "no" answers. Final Cut Pro X was introduced last week as a major update to Apple's professional video editing suite, exclusively through the Mac App Store, for $299 (instead of the old suite price of $799). The new version introduced important changes in the way the software handles, ingests, encodes and manages video production workflow, among other features. But video editors and other users did not take well to Apple's self-declared "jaw-dropping" updates. Negative reviews and one-star ratings started pouring in the Mac App Store (which Apple allegedly tried to remove), and even Conan O'Brien ripped into Apple's Final Cut Pro X on his show. In answer "to the most common questions we've heard," Apple addressed the elephant in the room: Can I import projects from Final Cut Pro 7 into Final Cut Pro X? "There is no way to ‘translate' or bring in old projects without changing or losing data," says the Final Cut Pro X FAQ. 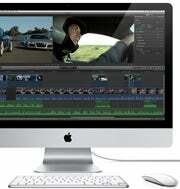 Apple is promising to add more features to the next iteration of Final Cut Pro, by saying "not yet." These include exporting XML from Final Cut Pro X, and support for OMF, AAF, and EDL exchange formats. Multicam editing is also on its way, "and we will provide great multicam support in the next major release," Apple said. For now, users unhappy with the new Final Cut Pro X are reportedly receiving refunds for their Mac App Store purchase (though the refunds are only on request). The alternative is to keep on using Final Cut Pro 7 until Apple updates the software, or jump ship to Adobe, which is welcoming Final Cur Pro users with open arms.